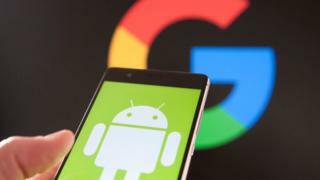 This week the EU slapped a record fine on Google and ordered it to stop exploiting its control of its Android mobile operating system to crowd out its rivals. On Tech Tent we ask what happens next - and in particular will Google start charging phone makers to use Android with an inevitable increase in costs to consumers? Margarethe Vestager, now the most powerful figure in global tech regulation, made clear at her press conference that the fine is just the start of the process. The EU's Competition Commissioner wants action from Google within 90 days to stop controlling which search and browser apps phone makers pre-install on Android phones. But for Google this is a threat to its business model. Its argument is that it gives phone makers and consumers a vibrant but mildly regulated Android ecosystem for free - and to pay for that it has to make some money from search ads. "So far, the Android business model has meant that we haven't had to charge phone makers for our technology, or depend on a tightly controlled distribution model." A clear hint that things could change. Image caption Sundar Pichai also released a video clip saying the ruling could "upset the careful balance of the Android ecosystem"
While Mr Pichai was restrained in his tone, there was a more outspoken response from the trade body that represents US tech firms. Gary Shapiro, President of the Consumer Technology Association, told the BBC that the EU's attitude was bizarre. "This is a very European, first world problem - to try and deny a service and make something illegal. It hurts people around the world and it's an innovation tax." In the context of the current spat between the EU and the Trump administration over trade, that sounds ominous. But there are three key questions about what happens next. Will Google really start charging manufacturers to use Android? Will the European Commission's ruling suddenly mean consumers switch to other search apps? And will Donald Trump find a way of wreaking revenge on Europe? As far as the first two questions are concerned, it seems unlikely that Google will act to make Android less attractive - after all it makes a huge chunk of its profits from mobile advertising on the platform. We may see Google attempting to appease the EU with some mild changes in its practices - while at the same time employing an army of lawyers and lobbyists to try to get the ruling overturned. And just as it was too late to save Netscape after Microsoft was ordered to stop bundling Internet Explorer with Windows, it is hard to see European phone users rushing to find alternative search engines. As for Mr Trump's plans for retaliation, after 18 months in which he has matched his rhetoric about unfair trade deals with action, it would be foolish to assume he doesn't mean it. We discuss whether Twitter is being used by foreigners to interfere in African elections and Kate Crawford, a Principal Researcher at Microsoft Research New York, outlines her worries about bias in automated systems which make decisions about our lives.